The Fence Of Concrete Pillars And Rusty Barbed Wire. 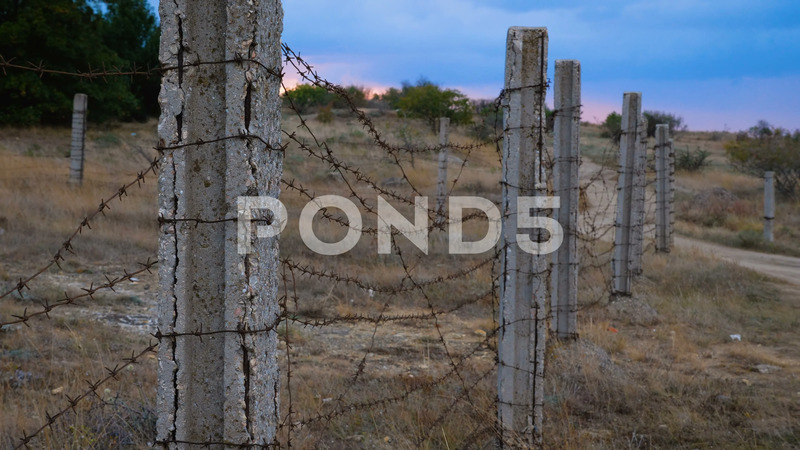 Description: The fence of concrete pillars and rusty barbed wire. In the background is the sunset.